If you or your child have been diagnosed as having attention deficit disorder, there is a strong possibility that your doctor has recommended a drug called methylphenidate, which is the most commonly prescribed drug for treatment of ADHD. Methylphenidate is a stimulant drug, and any reader may find it odd that a stimulant drug is used to treat a condition which causes hyperactivity and an inability to concentrate. Logically, it might seem that ADHD might be caused by an over stimulated mind, so why would further stimulation help? The answer lies in how the brain processes information and signals. When you look at the fundamental chemistry of the brain in an ADHD sufferer, the use of drugs such as methylphenidate makes much more sense. In ADHD a key part of the brain is under active, and sufferers appear to have less dopamine available to the frontal lobe area of the brain than normal people. Dopamine is an important signalling chemical, and it is essential for the brain to process information normally. Whilst scientists don't completely understand exactly how methylphenidate works, it is thought that one of its key actions is to inhibit or block the dopamine transporter mechanism. The dopamine transporter is the means by which dopamine is carried from a part of the nerve cells called the synaptic gap, into the nerve cell body. If too little dopamine is produced in the first place, or if there are too many dopamine transporters in a nerve cell, then the amount of dopamine available to the prefrontal cortex area of the brain will fall. This in turn makes it difficult for the brain's 'executive functions' to work properly, and so an affected individual is less able to listen to and process verbal instructions. By interfering with this dopamine re-uptake mechanism, dopamine levels can be increased in the frontal area of the brain to 'normal' levels. It is this effect that helps methylphenidate to reduce symptoms of ADHD, helping sufferers to become less impulsive and concentrate more easily. This is given two to three times daily at a dosage range of 0.2 to 0.7mg/ kg of body weight. This means that if a child weighs 30kg, then the recommended dosage would be between 5 mg daily and 20 mg daily, according to how well they respond. The starting dose is the lowest one possible, which is then increased in 5mg increments until either a good response is achieved or side effects start to appear. The advantage of these formulations of methylphenidate is that the dosage can be given in one tablet which is taken before breakfast, and its contents will only be released slowly over the course of the day. Equasym XL should last 8 hours and Concerta XL 12 hours, so it is likely that the effects will wear off before bedtime and sleep disturbances might be less likely to occur. Dosage can only be increased in 20 mg or 18 mg 'jumps' with either of these formulations. How Quickly will Methylphenidate Work? Usually the effects of the methylphenidate will be felt within 30 minutes or so after it has been taken, and the person taking it should appear calmer and feel the difference in being able to concentrate and focus. In the UK, the National Institute of Clinical Effectiveness or NICE have reviewed the evidence for methylphenidate. They examined all the clinical data that is available, and found that methylphenidate is effective at controlling ADHD symptoms in many people. They also found that the best effects are achieved at higher dosages, and that an even stronger benefit is achieved when behavioural treatment plans are also used. The drug should be stopped once a year to check it is still working, and if possible the dosage should be reduced. 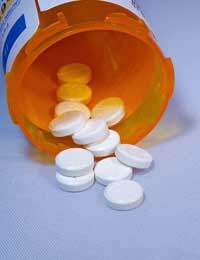 When too high a dose is used methylphenidate can reduce appetite and cause headaches, sleep disturbances and stomach aches. Because this drug is used in children, doctors will also keep a close eye on other essential markers for health like heart rate and blood pressure. Sorry, a correction to the above comment: Methylphenidate in all formulations, not limited to EquasymXL as previously stated. In your article you state that EquasymXL should be taken *before* breakfast. I take Medikinet and it is quite specific in stating *with or after* breakfast. Additionally, the information leaflet also suggests that the retard or slow release aspect of this drug can fail and cites not taking with food as a reason. Methylphenidate in all its forms can often suppress the appetite and there is a small window of time to eat if you take the drug on an empty stomach. I would strongly advise that your article be amended to taking all methylphenidate with food but to also include the information/warning that the slow release aspect can fail and the potential causes of failure and the impact on a child, let alone an adult, should that happen. I speak from experience. Ribbons.